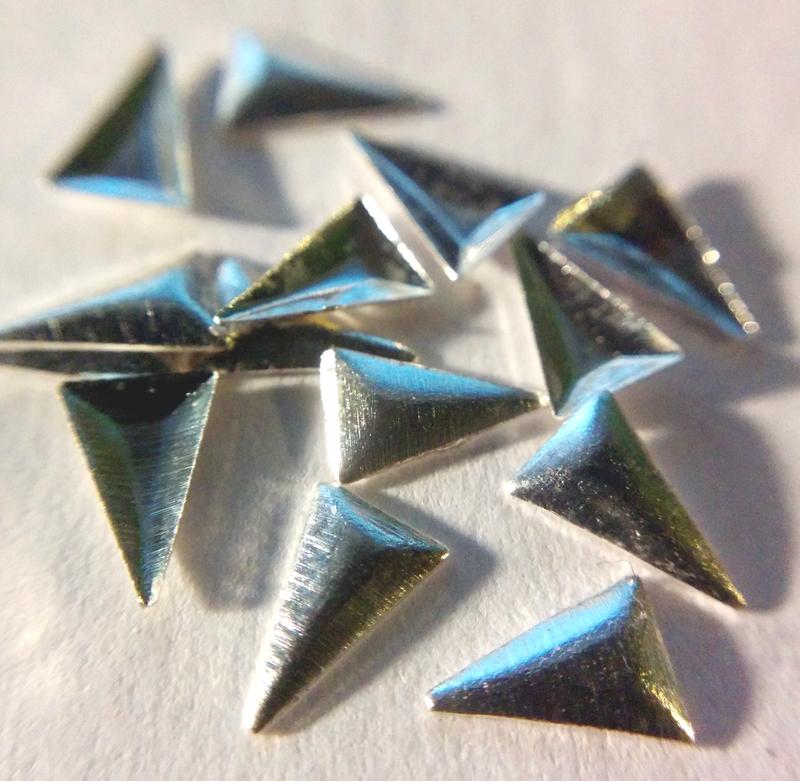 Today I have these shiny silver studs from Born Pretty to show you! The studs are made from thin metal, they are really light and slightly flexible while keeping quite a domed profile. 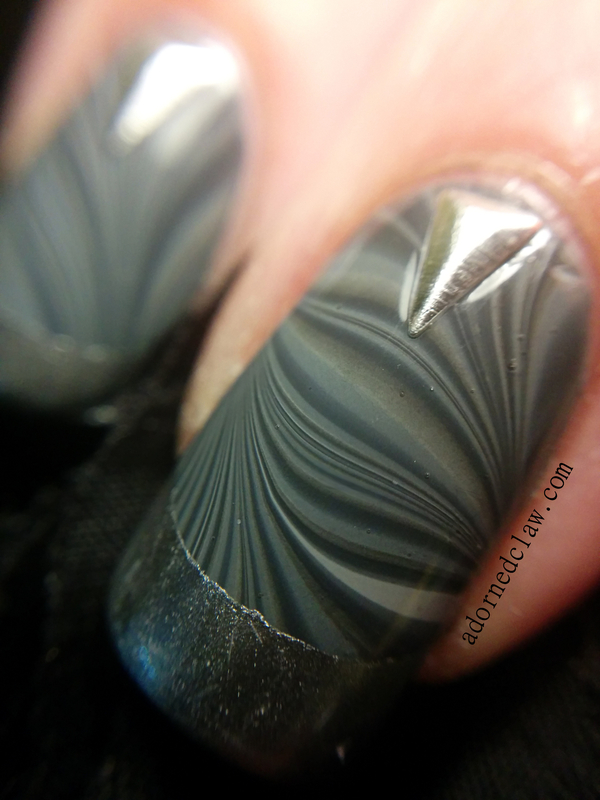 I applied them by pressing them into wet topcoat. 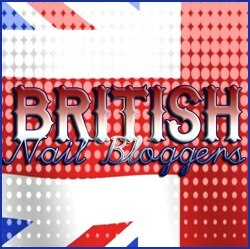 You could always use nail glue to apply them if you want them to be a bit more secure. 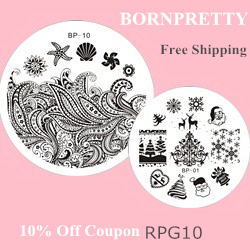 The studs are available here Born Pretty Triangle Nail Stud and you can get 10% off with the code RPG10! For the french tip the silver polish is I’d Melt For You from China Glaze, and I used french tip guides to keep them all even. 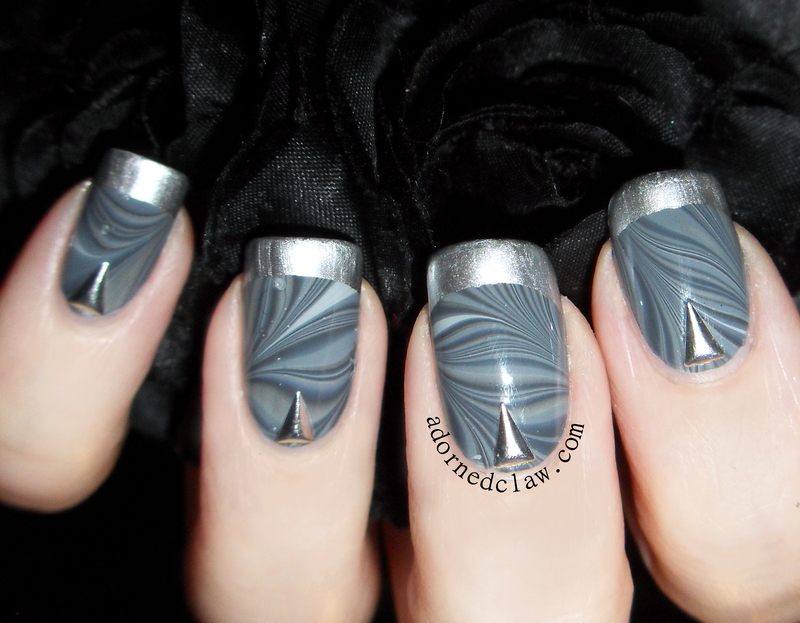 This entry was posted on Sunday, June 21st, 2015 at 1:05 PM	and tagged with Barry M Grey, Born Pretty Review, China Glaze I'd Melt For You, China Glaze Out Like a Light, French Tip, grey, Manicure, Nail Art, Nail polish, Nail Varnish, silver, Sinful Colors Cool Grey, Water Marble and posted in Nail Art, Review, Water Marble. You can follow any responses to this entry through the RSS 2.0 feed. 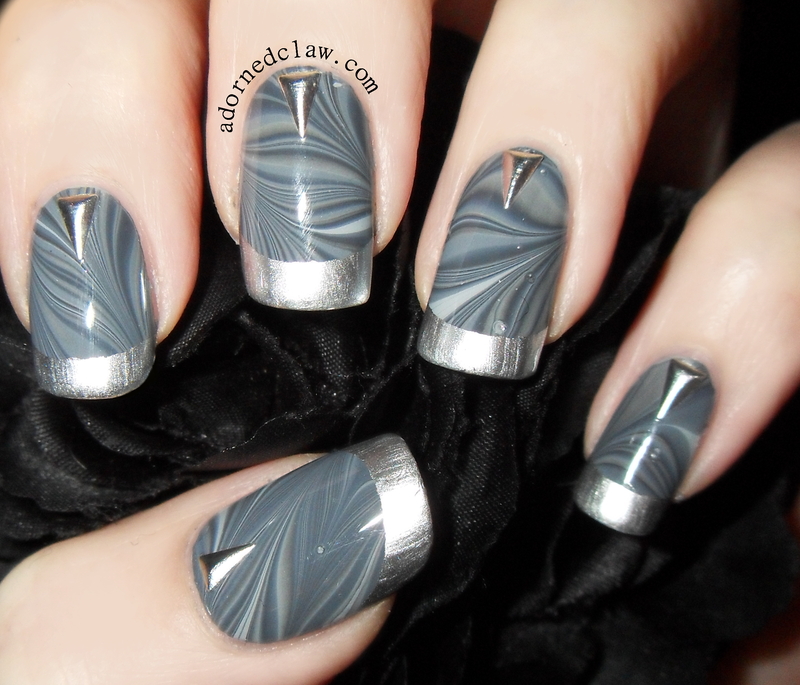 This mani is so incredibly gorgeous!